With the help and support of our efficient professionals, we have been able to offer development on SDK based development as well as Internet enabled applications. To serve our clients in the best possible manner, we also offer development on a variety of SDK versions and devices. We also hold expertise in offering end to end solution when the application has to optimize web sites & solutions and rich UI with on-line data exchange to the fit the I phone based viewing. Moreover, to enhance the application capabilities & offerings, we also provide map integration and GPS enabled solutions. We also conduct continuous research and keep ourselves updated with the process that allow our customer to reach the market faster and with wide offerings. Prakash Software is a software development company in India, having several years of experience and technical expertise in the areas of software development, custom application and IT consulting. We embarked as a web development company in the year 2000, and in quick time, have established ourselves as a very dependable and bankable software company in India. In today’s world, voicing ourselves in the web world is always an advantage. We have mastery over open sources like PHP, Drupal, Joomla, WordPress, Zend and Code Igniter to mention a few. We also command the Microsoft Platforms of ASP.NET, Share Point Server, Telerik, Microsoft Dynamics CRM, Silverlight, MVC, WCF, and WPF. 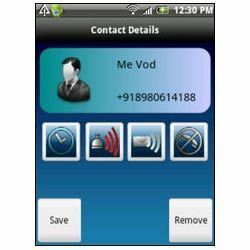 We also excel in mobile technology and cater to your need to develop classy Android, iPhone and Blackberry Apps. We have a rich experience of delivering the smartest software and web solutions to our clients in the fields of E-commerce, Document Management Solutions, IT infrastructure services, IT strategy services, Analysis Services, Supply Chain Management, and Data Warehousing.